Now Playing through August 25! Annika and Tommy's new neighbor Pippi Longstocking has crazy red pigtails, a pet monkey named Mr. Nilsson, and a tendency to get caught up in one outrageous adventure after another! 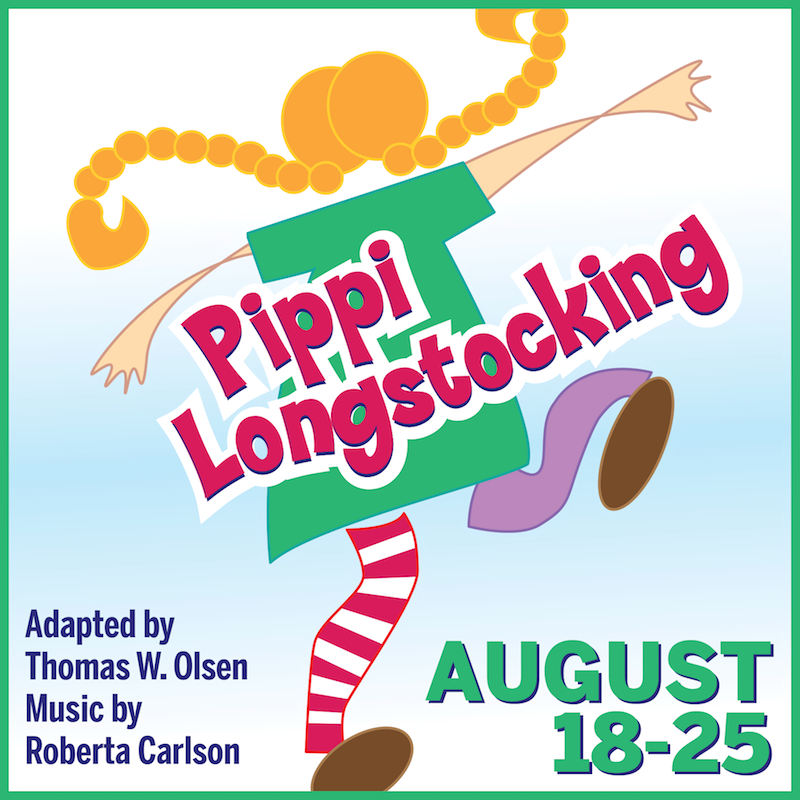 Whether she's fending off burglars, wrestling a circus strongman, or sailing away on a pirate ship, Pippi wins over even the sternest of hearts in this rollicking musical adaptation of Astrid Lindgren's beloved book.